Hi Dan , what did you do to improve thhe graph ? The major change was fitting a set of stock 3xv-10 cylinder heads. The heads I was running had been cut for lower compression compared to the stock items. The increase in compression doesn't seem to have harmed anything and a nice increase everywhere. Obviously the ignition curve was tweaked slightly to suit the new heads as was the PV curve and carburation too. My 3XV9. Bog standard except for pattern screen and a resprayed tank (which is not in the correct white). I need to POR15 the tank as the paint is bubbling at the top-front then get it resprayed properly. 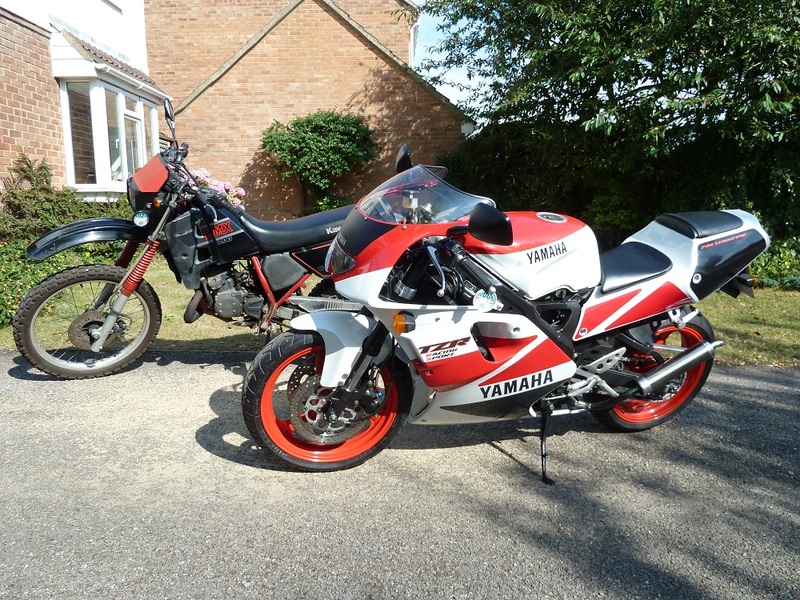 I would like to do the stage one (porting) over winter and possibly get some new pipes, however funds will dictate. My biggest regret is not buying one of those ten SP cranks. I live in fear of a bearing going pop. i wouldnt use por15 to line your tank its not very good and the ethanol in fuel eats it ! there are other products on the market that have been develop'd for bio fuels . The Caswell two part epoxy is great stuff. I coated my 3XV fuel tank with it, and it worked great. It's very thick and moves very slowly inside the tank, so be patient, or thin it like the instructions tell you you can, that may make it easier to apply. I ended up having to use the remainder of the sealer up to do a second coat as there were some areas I missed the first time. Opps, well I have already bought it so I will give it a try as there website states it works OK with the new StageII high alcohol fuels. Is your experience with POR15 recent as they might have changed the formula? I've already coated the inside of the Kawi tank with the POR15, but...have not yet put any fuel in it yet. The bike is being restored. I am currently running the 3XV tank that was coated with the Caswell sealer, and can attest to it's success! Okay... What dissolves it? May as well re-coat the tank with the right stuff before it's painted. I don't want any trouble with it. I wonder if I can Caswell coat over the virgin POR15? dan your bike looks great, the curve even better, it that a 4 stroke 3XV? couldn't be better. i have a set of heads to try here to, in my gut i want to get the most out of the head gaskets which cost a fortune. new heads have TZ oring cut into them. yanw, all you have to worry about is your tank!! lucky you. Cheers, yeah it certainly rides like one, drives along nicely from as low as 5k on the tacho, really getting a shift on at 8k. It would probably drive from lower than that but the pilot jets are too big and its dog rich down at the very bottom. What fitted volume will the new heads be? hi dan, they are std heads with squish trimmed to about .95, i am not sure if this is the case yet as coker is in cape town and me here near durban, (although i had better check the volume if did any work to it) the work is good but measuring the squish will have to be on the bike. i can always use engineering shop here to fine tune. I started with a RS but like to think that I've now got a RSP/4DP.